What I would like to share here is a record of service to the IEEE organization as a working volunteer. In the current marketplace, a company’s culture, values, and ethics matter more than ever. Current events and the ensuing dialogue are increasing the pressure on all organizations—government, corporate, and non-profit — throughout my volunteer tenure with IEEE, have remained committed that IEEE will become known as the “go-to” source for socially conscious products and services as well as a safe place for all volunteers or diverse backgrounds to contribute. 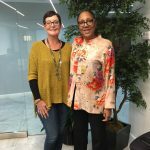 In 2017, worked with Andrea Goldsmith to champion and charter a permanent committee for Diversity and Inclusion within TAB. Co-authored committee charter and navigated this new committee through the approval processes required within the TAB governance structures. This helped position TAB as a thought leader in this important area. During 2018, at the request of several Societies that they might have statements for use, worked with IEEE Legal, Marketing and Governance departments to gain approval for a statement reaffirming the IEEE Code of Conduct, Code of Ethics, and Nondiscrimination Policy. This statement solidifies TAB’s dedication to ethical and fair treatment of all IEEE members. This year helped to form a TA Sub-committee to examine the issues and associated policies around bullying and harassment. Remain committed, as do many of our volunteers, to the fair and ethical treatment of all volunteers and staff. Our mission should not allow for these types of distractions. In response to increasing volunteer frustration with the complexities associated with the IEEE contracts approval process, established a volunteer led/staff partnered communication forum, led by Moura Moran, which was held during the 2018 TAB meeting series to discuss rationales and possible improvements to current contracts approval processes. The primary purpose of this forum was to explore issues related to the IEEE contracts, which included decision authority, workflow transparency, risk management, efficiency of execution, and change management. The outputs from this forum included documented rationale for the existing rules and risk avoidance measures, a set of recommendations and templates for improvement, and a revision to the IEEE Finance Operations Manual to increase the threshold contract value for legal review of contracts from USD 5,000 to USD 25,000. This revision both streamlined and expedited the contract review process for not only TAB but all of IEEE, was approved by the IEEE Board of Directors at its November 2018 meeting. One of my priorities when assuming TA VP leadership was to try to work on improving the disconnect between the IEEE Young Professionals (YP) program which is managed and run through IEEE membership. The bulk of the sponsored activities do not reach the Young Professionals participating in Society and Council activities. Working with the Technical Management Committee (TMC) and the TAB YP Liaison, Celia Desmond, we were able to significantly ramp up TAB YP activities during 2018. 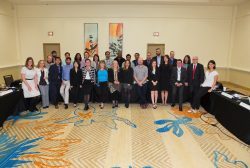 We held the first IEEE Society/Council Young Professionals Representatives Summit. This 1.5 day facilitated leadership and strategy session brought together 24 Society/Council Young Professionals Representatives for the first time, to discuss: developing and communicating value; effectively contributing to Society/Council activities; key engagement strategies; and, creating new structures. The session culminated in action plan development, and included a social networking event co-hosted by the IEEE Board of Directors, which provided a great opportunity for the Board to connect with many of our next generation leaders from within Technical Activities. The nominations and appointments process can be both frustrating and confusing. The requirements for positions and availabilities vary. 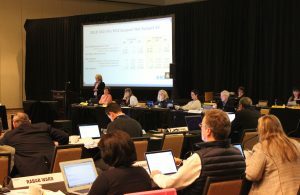 During 2017, lead the TAB N&A committee in an attempt to provide improved clarity for both Technical Activities and IEEE positions by providing a consolidated list of all available positions for both TAB and the IEEE, with details including term, criteria, nominee slate and appointment information, timeframe, committee/position description and responsibilities and meetings. This information is available on the TA web site. Furthermore, in 2019 working with members of MGA to make this a complete list of all IEEE volunteer leadership positions so that every position available will be included and the N&A process will be as transparent as possible. Ten new initiatives have been incubated by the TAB Future Directions Committee (FDC) and have graduated with varying degrees of success and sustainability. Prior to 2018, there was no budget within the FDC for transition support. This was well known, but the solution was evasive. With the help of the TAB Management Committee (TMC), we identified a solution and in 2018 worked with the FDC Chair, Steve Diamond, developed a proposal for a FDC transition strategy. TMC approved the strategy in May and allocated a permanent $150K budget transfer from the TMC contingency fund to support FDC transition funding for projects that fund revenue generating product(s) or service(s) for TAB. Partnering with Rob Fish (2019 Standards Association President), worked to charter a Technical Activities (TA) committee on standards in 2017 with the goal that this committee should incentivize and nurture standards development within IEEE Technical Activities. This committee will help to ensure that standards sponsor governance structures exist within societies and councils to support the procedural and technical integrity of standards development to enable effective partnerships between technical activities and standards development. In 2019 we will see the first call for proposals with IEEE Technical Activities. These proposals will be for new standards activities within TA that will be funded directly by the Standards Association and these activities will be managed by the TA committee on standards. Have been know as a long time supporter, and proponent, of financial transparency. This simply means that I have been one, among others within TAB, who have been doggedly pushing for Gross to Net reporting and more clarity in the ledgers so that the Societies and Councils have better insight into their budgeting process. In 2013, as a member of the IEEE Board of Directors (BOD), presented a motion from TAB requiring reporting of the corporate recovery (IP tax) on a Gross basis. As a member of the BOD, worked with IEEE Executive staff and other senior volunteer leaders to track status and report progress back to TAB until completion in 2017. At the January 2018 BOD retreat, organized the IEEE Operating Unit Cooperative Group (OUCO-OP). This group was created to provide a venue where executive representatives, both volunteer and staff, from IEEE Operating Units (OU) could come together to discuss their activities and collaborate, thereby strengthening partnerships and emphasizing joint activities. Ultimately driving improved performance across the units, and better experiences for the many constituencies (members, volunteers, non-members, customers, partners, etc.) the organizational units are designed to serve. As 2016 Chair of southeast USA (Region 3) Awards, prepared a complete revision of Region 3 Awards and Recognition Committee Program Manual, which was adopted by Region 3 ExCom approval later than same year. During my tenure as Chair, the Awards program for Region 3 (2016-2017) saw a 20% increase in nominations. For two consecutive years, hosted an awards banquet at SouthEastCon of more that 800 attendees. 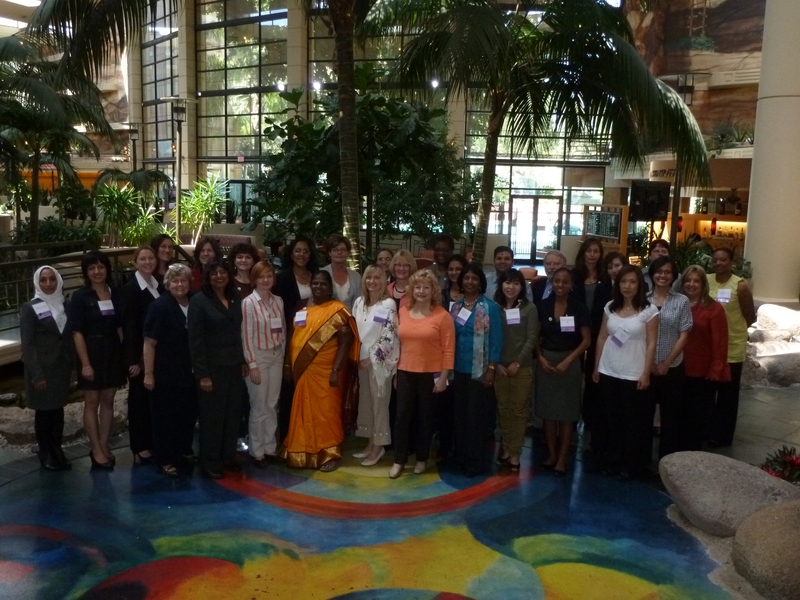 Worked closely with Region 2, helping them launch their awards program. Working closely with the Region 2 Awards Chair Pamela Jones in drafting their Committee Program Manual and setting up a project plan for program implementation during 2017. The Atlanta Section is the proud home to over 700 members of the IEEE Computer Society (CS). However, during 2012 it had been inactive for many years and attempts by the Section officers to find volunteers to take over chapter leadership for the CS Chapter were unsuccessful. 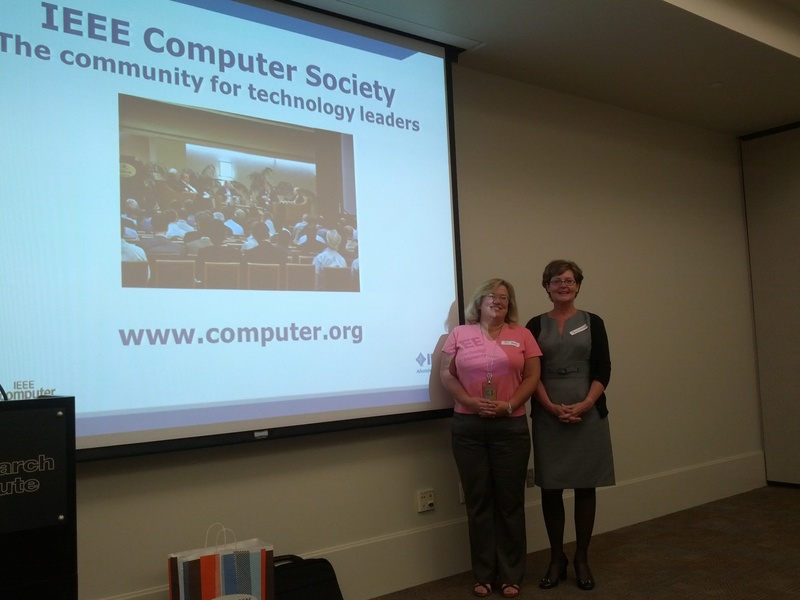 Challenged Jill Gostin, who was the Atlanta Section Chair to re-start this CS Chapter. 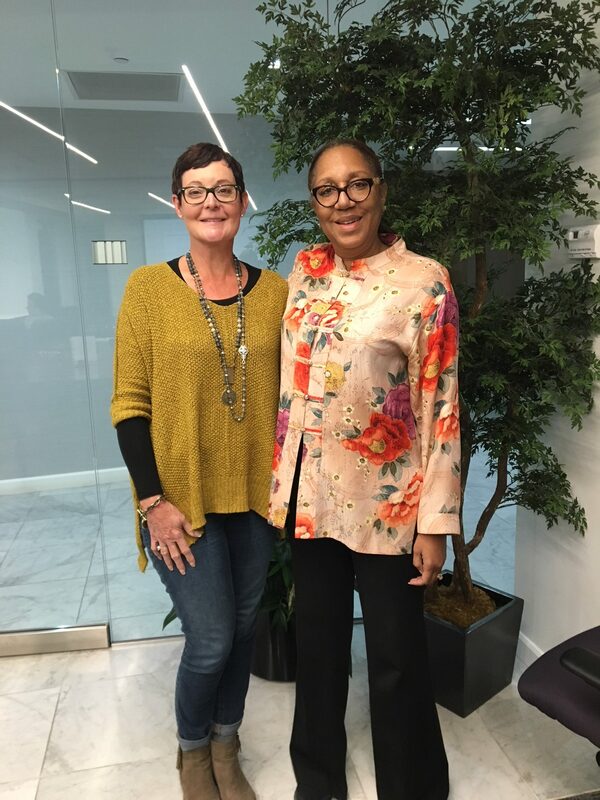 We partnered together to hold a kick off and planning event which garnered 35 attendees and many ideas for upcoming meetings setting the stage for Atlanta CS Chapter stability and vitality. Served as the representative for the Technical Activities Board. Working jointly with Standards Association, contributed directly to the development of a strategic plan for IEEE involvement in global Internet governance. This plan provided the foundation for the long-term engagement of IEEE in the Internet governance space with the aim to restore trust to its technical foundations and the standards, and to preserve the global character and integrity of the Internet. This initiative was critical in setting up a potentially new line of operation for groups in IEEE – aligning technical policy with the technology and services within our technical communities and identifying potentials for growth. This initiative is now known as the IEEE Internet Initiative. Primary author of an analysis of, and recommendations for, an effective reporting and operational structure of IEEE’s Women In Engineering Committee (WIEC). The proposal to move the WIE from the Committee of the Board to operate within MGA was subsequently approved and has had a significant positive impact on both WIEC and other IEEE stakeholders. Led Society efforts for financial recovery and future growth. Directly responsible for the generation of a balanced budget and elimination of $3.7M deficit during my 2008-2010 leadership tenure. Worked to increasing revenues in the areas of standards activities, conferences, publication, and governance and was dedicated to increasing the value proposition provided to membership. Primary author of the 2008 Computer Society strategic plan, which changed the strategic planning process incorporating measurable organizational and governance goals and activities. 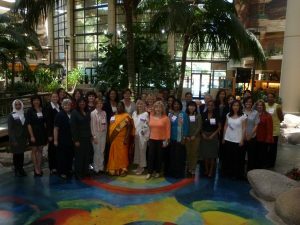 In 2008, she led efforts to charter the Computer Society Industry Advisory Board (IAB). Chartered to “To help the Society build its relevance by serving as an advisory body to guide the development of Society products and services relevant to the industrial audience and by reviewing the Society’s plans that engage industry.” The IAB also assists in the dissemination of the Society’s information to industry and help the Society obtain support from the industrial sector. 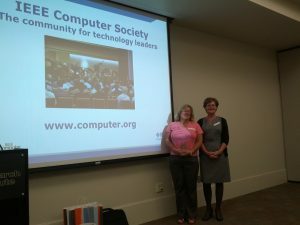 Worked to increase efficiencies of IEEE Computer Society (CS) conferences management and publications, remaining focused on providing practitioner support. Successfully developed and deployed significant revisions to the IEEE-CS conference operations business model. These changes were prompted by need to address the IEEE-CS financial situation, and driven by data indicating an insufficient fiscal model, primarily an inverse fiscal relationship between the number of conferences and associated net contributions. Focused on Sponsor vitality and interoperability and on re-integrating standards-making into the broad technical activities of the IEEE-CS. Instrumental in bringing on two new standards sponsors, and received the 2007 IEEE SA Standards Medallion for these efforts. In 2004, working group chair for the adoption of the IEEE Guide to the Project Management Body of Knowledge (P1490). member of the IEEE SE Online editorial board as Editor for the Project Management and Software Engineering Body of Knowledge (SWEBOK) content areas and contributor to the development of the IEEE Certified Software Development Professional (CSDP) Exam.